In a perfect example of the ultimate Karma, it’s being reported that ISIS militants have been showing up at an Iraqi hospital with Ebola. According to three media outlets, an undisclosed number of militants displaying signs of the disease attended a hospital in the ISIS-held city of Mosul, 250 miles north of Baghdad. nearly a dozen doctors have been executed for refusing to treat ISIS fighters. A report in Iraq’s pro-government newspaper, al Sabaah, says the disease was brought to Mosul by ‘terrorists’ arriving ‘from several countries’ and Africa. World Health Organization officials said they haven’t confirmed the cases, but the organization has reached out to offer assistance. The Ebola virus could easily be misdiagnosed in that area of the world. It’s symptoms such as nausea, diarrhea, bleeding and bruising are shared with other diseases such as malaria and yellow fever. 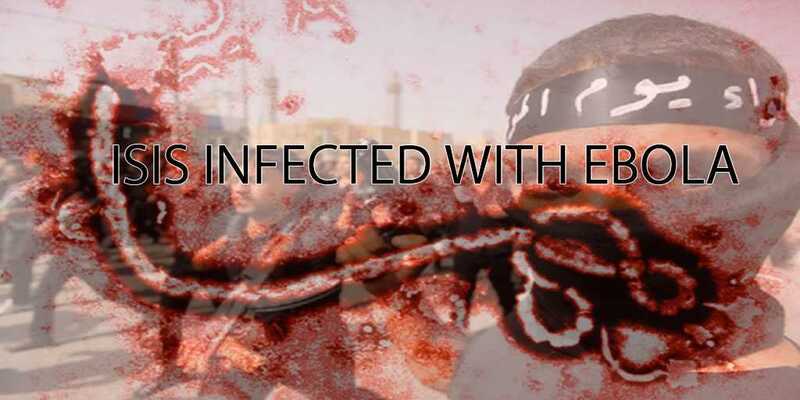 The reports an ISIS Ebola breakout is happening have appeared Â in pro-government and Kurdish media. Although it may sound like a problem taking care of itself, it could also have catastrophic implications for people in ISIS-held areas. The Islamic state refuses to have any part of western science and medicine. I wonder if our Nobel Peace Prize winning president will be shipping ISIS members to our hospitals so they can get the best care available. It sounds crazy, but with the way Obama coddles our enemies and disrespects our allies, NOTHING would surprise me.